Shopping in Cape Town can be so much fun and with the current great exchange rate really affordable for expatriates. There are shops for every taste and budget: Farm Stalls and Corner Stores, Supermarkets, shopping Arcades, upmarket shopping centers and gigantic shopping malls. On this page you will find essential information where to do your shopping in Cape Town and shopping tips by expats for expats. So you will know what you should bring from overseas and what you can get here for a fraction of the price you would have to pay back home. Then there are many big Shopping Centres for great shopping in Cape Town where you can find most of your desired goods from overseas. 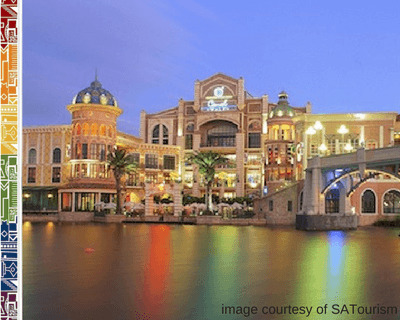 At the Cape Town malls you find boutiques, chain stores and supermarkets as well as banks, foreign exchange bureaus, book and music stores and post office all under one roof. In Cape Town’s shopping centers or malls you will often find restaurants, coffee shops and food courts too. These shops are the shops you will find in most shopping centres: bookshops, clothing and shoes, home ware, computer and visual equipment, chemists, grocery stores and delicatessen. Some even house a cinema or stage and exhibitions. There are usually medical centers and dental practices adjoining the malls. The shops in the bigger shopping centers in Cape Town are usually open from 9h30 until 21h00 weekdays and open on Sundays from 10.00h to 17.00h. Parking is available and is charged at hourly rates. In some shopping centers you can get your ticket stamped at Woolworths or Checkers with your purchase and receive two hours of free parking. 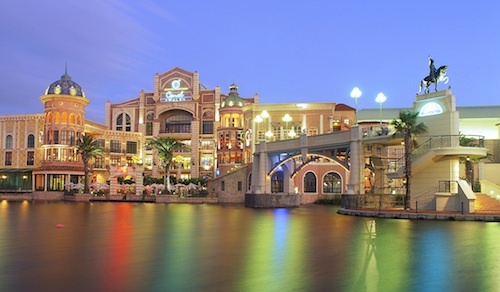 Click here to see our listing of Cape Town’s best shopping centers. Most of the international brands and clothing stores you will find in the big shopping centres in town. The most exclusive designer shops are located in the V&A Waterfront Shopping Centre , where many western designer brands can be found like Max Mara, Queenspark, Guess, Birkenstock and many more. At the end of 2007 a new fashion wing was opened with many famous designer brands as Louis Vuitton, Zara or Mango. Designer clothes are comparably cheap and can be bought for approximately 50% of their overseas prices. Clothes for bigger sizes are quite difficult to track down in Cape Town, although there are Donna Claire ladies fashion stores similar to the Evans stores in England as well as Woolworths and Stuttafords who cater for bigger sizes. The sizes at Donna Claire range from M to XXL what is here in South African sizes 16 to 28. But many expat women also buy their clothes in bigger sizes overseas. Outdoor clothing, shoes and equipment however is very easily to find in factory stores like the Hitec store in Montague Gardens, the chainstores of Cape Union Mart and Due South as well as the huge Outdoor Warehouse and Sportsmans Warehouse chainstores. Here you can find some treats you would have to pay quite a lot for overseas. Shopping for trendy and fashionable beach wear is fun to do in Cape Town as there are many surfwear shops and funky little boutiques in the city center as well as in shopping centers. Good quality leathers shoes are not so easy to find, although there are some Italian and Spanish Shoes imported and you will have to pay a bit more than overseas for these. As good quality shoes are quite expensive many expatriates bring their shoes from home visits overseas. Summer footwear however is available widely and in many funky styles too. For good sturdy children shoes I tend to still buy them overseas or at one of the Green Cross stores. Occasionally I did get good shoes at Woolworths too. There are many supermarket and hypermarket chain stores in the Mother City like Checkers, Pick & Pay, Shoprite, Spar and Woolworths. Many Expatriates enjoy to shop at Woolworths as they have a high standard of food quality. Farm Stalls sell fresh produce from local farmers and delicatessen. There are many little convenience like 7Eleven or Quickspar stores across town. Fruit and Veg City and the Foodlover’s Market in Durbanville near Willowbridge Shopping Centre offers the freshest produce and lots of local and international delicatessen. Alcohol is sold at bottle or liquor stores. Supermarkets often stock wine and champagne, but no beer or liquors. In Cape Town you can not buy alcohol on Sundays and must of the stores do not sell any alcohol after 5pm on Saturdays neither. The Wellness and Fitness boom has reached Cape Town too. There are wellness warehouses and health stores popping up in every major shopping center. Especially in areas favored by expats there are not only fitness centers like those of Virgin Active and Planet fitness which usually are situated in the vicinity of shopping malls but also health food stores . 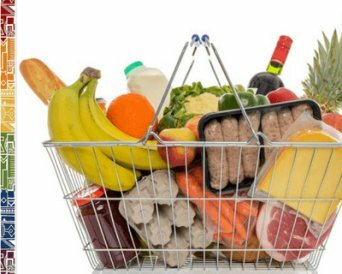 These health stores stock products for almost every dietary requirement and you wil not encounter big problems in sourcing your favorite dietary products when shopping in Cape Town. Try also the new Wellness Warehouses at Kloof Street in the city centre or Cavendish shopping center. Chemists and Pharmacies like Clicks, Durbell and Dischem are located in most of the shopping centers. Over the counter medicines are often available at supermarkets too. Cosmetics can also be bought in chemists as well as in the chainstores of Edgars, Stuttafords, Foschini and Woolworths or smaller health and beauty stores. Homeware for bedroom, bathrooms and kitchens are available at many stores which often are lovated in shopping centres. The most popular shops in South Africa are: @Home stores, Boardmans, Mr. Price at Home, Sheet Street, Home Depot, Loads of Living, House and Home. There are quite a few furniture shops and outlets as well as several diy warehouses and interior afficionados at the newly built Northgate Shopping District near Koeberg Interchange of N1 and M5. Otherwise you might have to consider importing real wooden furniture (other than pine which is very popular here) or you will have to visit designers and local carpenters to cater to your taste. There is some furniture available at Home and Garden or Furniture World at lower prices but you might not find the quality you expect to buy. There are many manufacturers of living room furniture like Weylandt but the prices compare with overseas prices. There is beautiful wooden furniture available made of local Yellowwood or Stinkwood near Knysna so if you want to combine that shopping trip with a little outing into the countryside;) Please note that kitchen furniture is usually included in rental accommodation and most of the times also when you buy a house but you might consider additions or add a new kitchen. For your d-i-y shopping in Cape Town you might want to check out the following stores: Builders Warehouse with many chain stores across the peninsula. Mica has also got many chain stores as well as Cash Build and Pennypinchers. Electronic Equipment is available at a high standard but the prices are comparable to prices in the USA, Germany or UK or even slightly higher. There are some specialist stores in town and in shopping centres, but you can find a basic selection of electronic goods at Game, Home & Garden, Tafelberg Furnishers, Ster, Incredible connection (Computers), Macro, Hirsch's and many more. Modern kitchen appliances from big brands as Miele, AEG, Bosch and Siemens are imported to South Africa, but often it is difficult to find a good service company to repair any newer appliances. Miele however has got an impressively fast and friendly service in Cape Town. One huge store which offers good appliances is Tafelberg Furnishers who also have a discount warehouse. They sell slightly scratched and dented appliances which are otherwise perfectly fine at huge discounts. Often the newest models are thus available too and if you do not mind having slight scratches to the sides of the model for example then you save a lot. This warehouse recently moved to Northgate Shopping Center near Koeberg Interchange. Hirsch's offers very competitive pricing for household appliances, so make sure to stop by at their mega shop in Milnerton corner Racecourse Road and Koeberg Road. Then there is House and Home and Game and Ster who have a range of appliances. Game Superstores has got small appliances too. And always remember you are only allowed to import goods older than one year, duty free to South Africa. Garden Centres in Cape Town are little oasis for green-fingered people. There are many Stodels Gardens Centres across Cape Town often with Children’s Play areas and Mini Zoo, Starke Ayers concentrates on good gardening advice and offers huge variety of plants as well as specialty plants. Any questions regarding Shopping in Cape Town? Feel free to contact us should you require any special information on Cape Town shopping. Need more info? You will find it in our Cape Town Shopping Guide!